Back to the Table of Contents page for information on many other subjects! IAQ INFO is an easily accessible, central source of information on indoor air quality, created and supported by the U.S. Environmental Protection Agency (EPA). As concern about air pollution indoors has grown, so has the amount of information on this subject but getting current, useful information can be a challenging task. The purpose of IAQ INFO is to help you locate information to answer your questions about indoor air pollution. To speak with an Asthma Information Specialist, please call (800) 315-8056, Monday through Friday, between 9am and 8pm EST. Take the Pledge online at www.epa.gov/smokefree or call our toll-free Smoke-free Home Pledge Hotline at 1-866-SMOKE-FREE (1-866-766-5337). To order the Kit, please call our Smoke-free Home Pledge Hotline at 1-866-SMOKE-FREE (1-866-766-5337). The National Safety Council's Radon Hotline 1-800-SOS-RADON [1-800-767-7236] provides an informational recording 24 hours a day. Through this automated system, callers can order a brochure on radon by leaving their name and address. The brochure contains information on ordering a low-cost short-term test kit. addressing radon problems in connection with real estate transactions. Consumers with specific radon-related questions may leave a message for a counselor to call back. The National Hispanic Indoor Air Quality Hotline provides bilingual (Spanish/English) information about indoor air pollutants that consumers may find inside their homes, offices or schools. 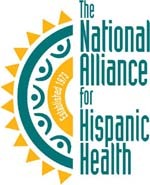 Consumers, health and human services professionals, outreach workers, and community leaders from across the United States, Alaska, Hawaii and Puerto Rico can call 1-800-SALUD-12 (1-800-725-8312), or, in Washington, DC, (202) 265-6388 to speak with a bilingual health information specialist (HIS) Monday through Friday, 9:00 a.m. to 6:00 p.m. eastern time. After business hours, consumers may leave a message and an HIS will return the call the next day during business hours. What kind of information and services are available from the NHIAQ Hotline? health effects of indoor air pollution; sources of indoor air pollution; measurement/testing of radon in homes; and, preventing exposure to indoor air pollutants. Provide radon test kits to consumers with bilingual test instructions; consumer follow-ups with bilingual explanation of test results; and, referrals to other sources if mitigation is recommended. Referrals to other similar hotlines; government agencies and resources; EPA's State Environmental Departments with IAQ and Radon Contacts; EPA Regional IAQ and Radon Coordinators; EPA Indoor Air Partners; and Hispanic community-based organizations. Bibliography of indoor air quality materials in Spanish. This bibliography lists the name of the publication; brief description of publication; publishing entity and a telephone number for obtaining copies. A Technical assistance information hotline is now available for users of the IAQ Tools for Schools Kit. Hotline staff provide information and answer questions on topics including mechanical systems, ventilation, pollutant sources, and application of the Kit. The hotline can be accessed weekdays from 8:30am to 4:30 pm central time through a toll-free telephone number, 1-866-837-3721. Questions may also be sent anytime by e-mail to [email protected]. Copyright � 2017 Benivia, LLC (dba EHSO) All rights reserved. If you provide environmental, safety, transportation, or related services or products; such as training, consulting, management, etc., EHSO would like to hear from you. We are looking for quality professionals to offer their services as affiliates. Please contact us via feedback . Copyright � 2015 Benivia, LLC (dba EHSO) All rights reserved.